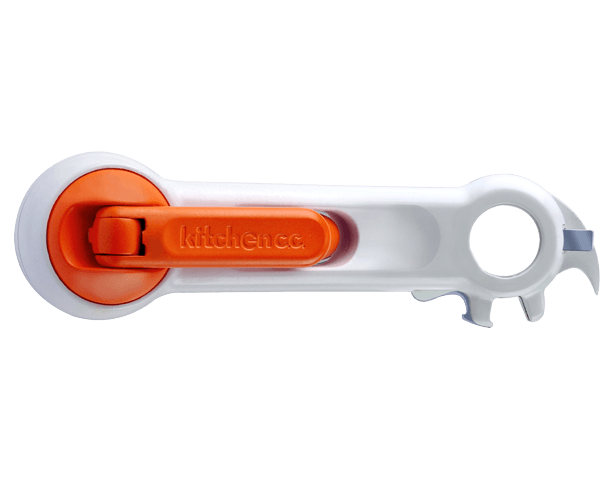 It is the Ultimate 6-in-1 multi-kitchen-tool functions! Kitchen c.c. 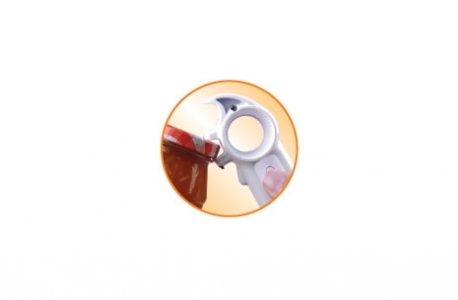 Ultimate E-Z Can Opener is a revolutionary new tool that redefines the way cans are opened. It is suitable for all the ages and arthritis sufferers. 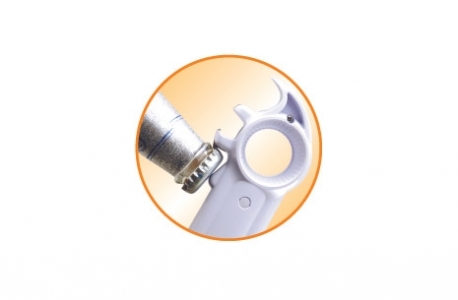 In addition to the no-twisting-no-aching rotary can opening mechanism, the can opener is equipped with five more features that open different containers. Cap lifter opens flip top bottles. 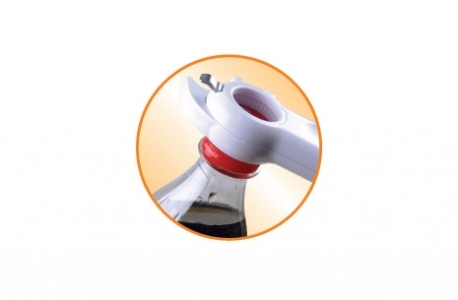 It opens water & soda bottles with screw top. 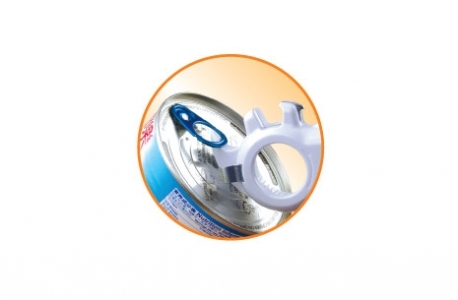 The ring puller makes it easy for pull tab cans. Jar pop breaks vacuum seal of screw jar tops. 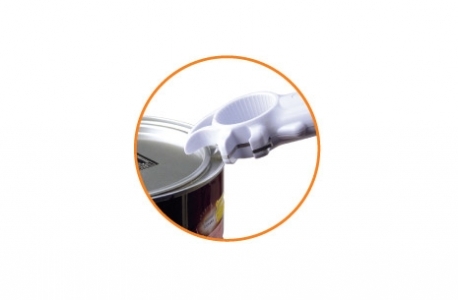 The tin lifter makes your fingers and nails free from hurt. 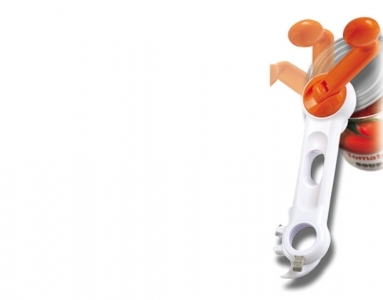 With the Ultimate Rotary Can Opener, you get all the tools you need in the kitchen!